Listen Up Philip is one of our favorite movies of the year, a caustic, richly shaded, carefully organized portrait of toxic, self-destructive narcissism that stars Jason Schwartzman as a modestly successful young novelist with an uncanny ability to alienate almost everyone around him, and Elisabeth Moss as the photographer girlfriend who’s spent several years of her life putting up his behavior. The A.V. Club is very happy to be co-presenting two screenings of the film this Friday at the iconic Music Box Theatre in our home base of Chicago. Schwartzman will be on hand for an audience Q&A for both the 6 p.m. and 8:30 pm screenings, which I’ll be moderating. Tickets are available through the Music Box’s website. To warm things up, we have an exclusive clip from the movie, courtesy of distributor Tribeca Film. 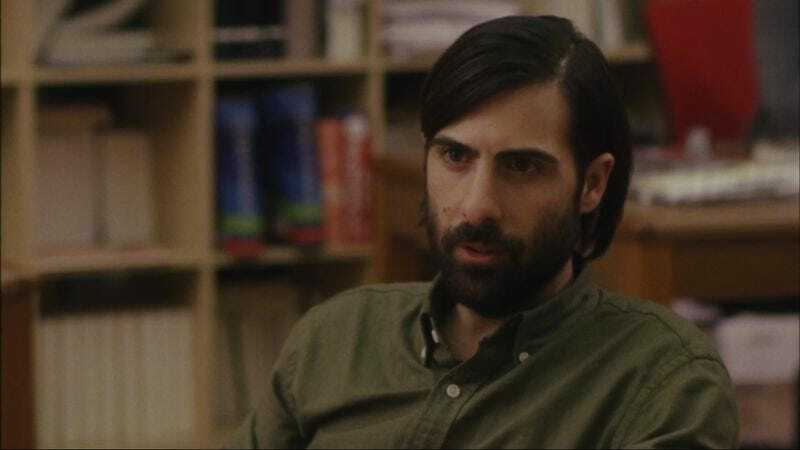 In this scene, which arrives early in the movie, Philip (Schwartzman)—who’s just decided he won’t be doing any press for his second novel—is asked by his publisher to write a profile of fellow up-and-coming writer Josh Fawn (Keith Poulson).